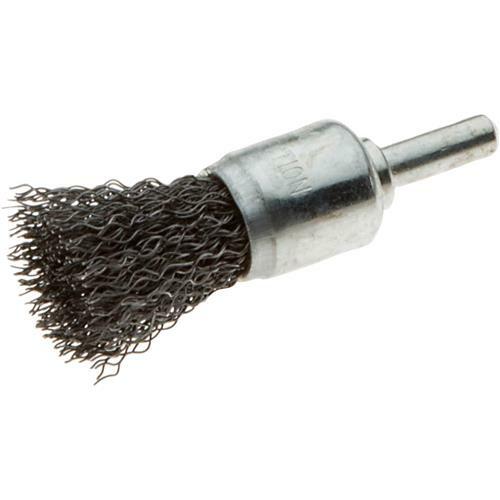 This end brush uses crimped steel wires to flex easily into those hard to reach places. Excellent for cleaning around corners and awkward areas. 1/4" shank.